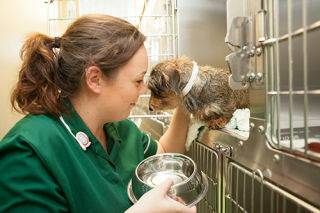 We take a range of student nurses on each year and help them to achieve the level three diploma inveterinary nursing, allowing them to use the title Registered Veterinary Nurse (RVN). 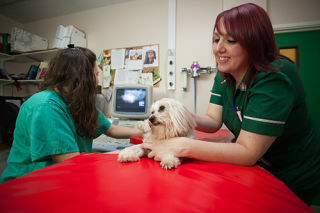 Nantwich Veterinary Hospital is a fantastic place to learn due to our extensive facilities and the multitude of patients we see. Most of our nurses graduate within two and a half years. All our students are in full time employment but attend college once weekly. We are lucky that some of our qualified RVNs have chosen to take the diploma in advanced veterinary nursing, which requires a further 3 years of training. You can therefore be assured that your pet is receiving the best nursing care available.